After trying several Living Proof shampoo, conditioner, and styling cream samples from Birchbox, I knew I need to try this dry shampoo that has been receiving great reviews of not only refreshing but actually cleaning the hair! Since I just finished relaxer my hair last Friday, I needed to freshen up my hair a little bit and this spray left my hair feeling a cleaner hair strands! 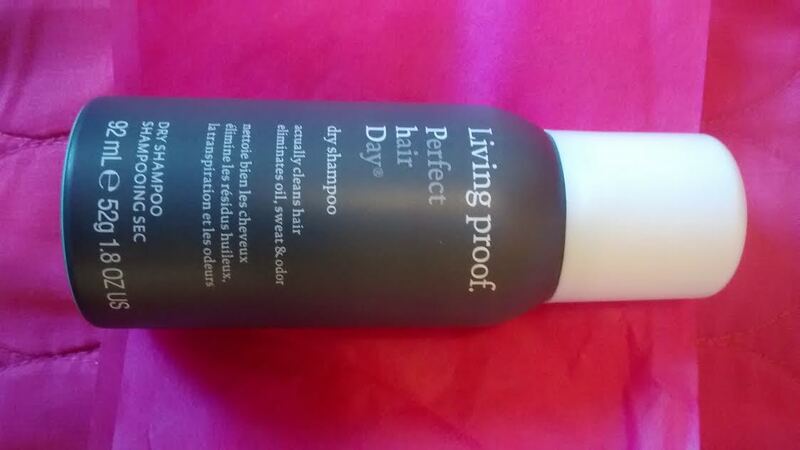 This product is winner from Living Proof! After showering and exfoliating my face at night, I applied this facial serum on my face and neck areas!! My skin felt moisturized instantly without feeling any "heavy" ingredients nor greasy feel! I applied this facial serum again in the morning and felt the same results before applying my regular day cream and makeup! I highly recommend this to all women suffering from dry Fall/Winter skin! 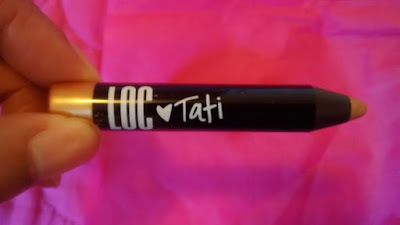 The latest new brand from Birchbox and curated by Tati Westbrook, I knew I wanted to try this eye shadow color back in October reviewing! I love how the pencil glide on my eye area and how this golden shade complimented my hazel eyes and skin tone!! I love this shadow color for the Thanksgiving until after New Year's Day! 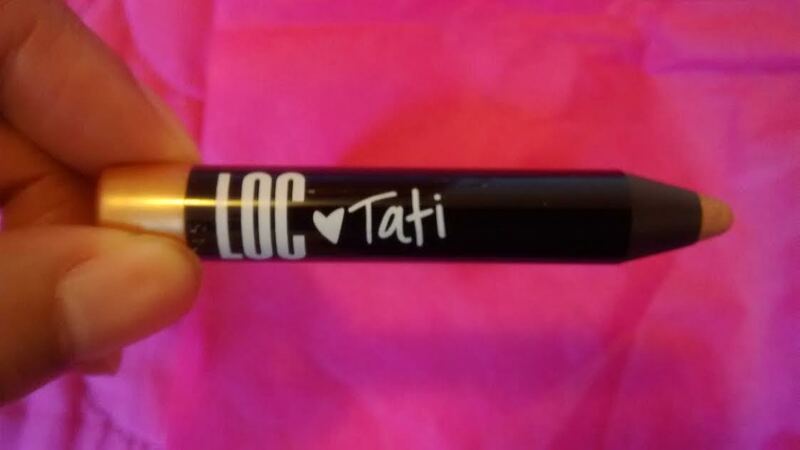 After applying the face and eye serums, I concentrated on my dry lips with this Lip Enhancer! My lips felt conditioned without any "stinging or tingling" sensations at night! Again in the morning, my lips felt moisturized but I used this lip product again and then applied my lip color to my lips! I recommend this product for all year round for healthy and conditioned lips! After trying these products in my November Birchbox GlamLifeGuru, I give it "five out of five" rating meaning I love all five items!! 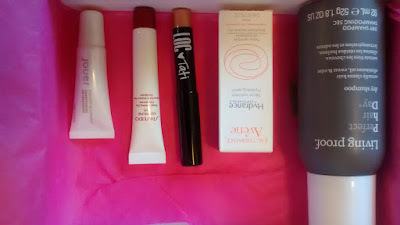 What is your favorite(s) in your November Birchbox and was it a Surprise or did you chose GlamLifeGuru like me? 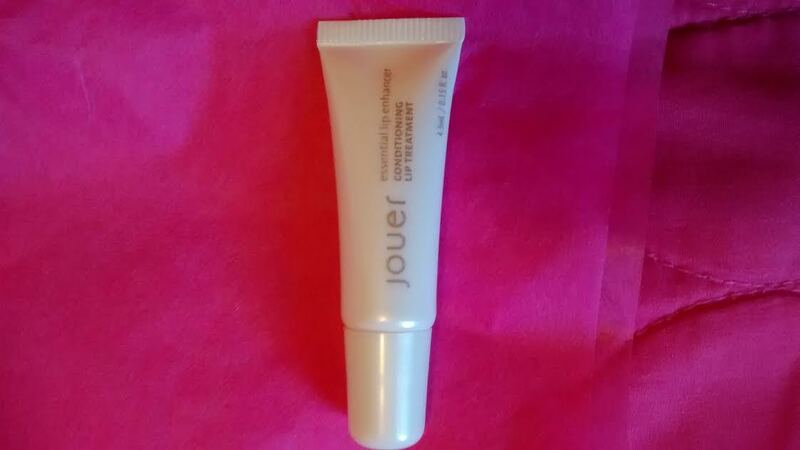 I received the Jouer Lip Enhancer in an ipsy bag about 6 months ago. When I first opened it and applied it, it had a chemical scent/taste and I almost gave up on it. But I tried it again and it was fine. I ended up loving it. When I finish using up my other lip enhancers, I'll definitely buy it. BTW, I don't use Blogger, but in Wordpress to get photos from my phone to show up in the right orientation, I sometimes crop them slightly on my phone and for some reason why show up in the correct orientation or I use the "edit" for media that WP has. If Blogger doesn't work that way, you should google how to do it in Blogger. Wow, glad that Jouer did revised this lip product then!! And I will try to look up for editing photos, too!! OMG I love all the products. But I want the Avene product. Will do and thanks for check out my post!! 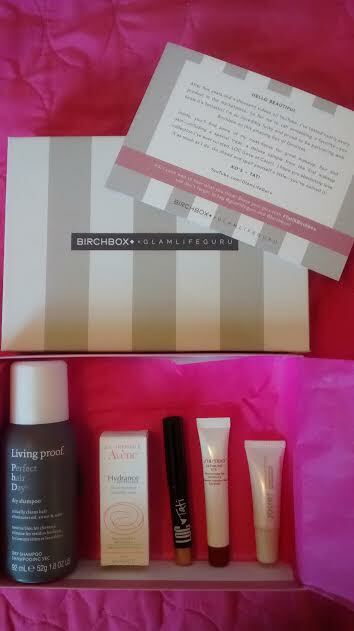 I will be doing the ULITAMATE Birchbox review on m blog in December!! I like the items in this box and look forward to trying them all. Glad to hear the LP is a winner, because that is the item I most wanted when I selected this. I have tried other dry shampoos and although I love Frekai and Amika, this one is winner!! Great products. I love the dry shampoo and the eye shadow crayons are bomb! 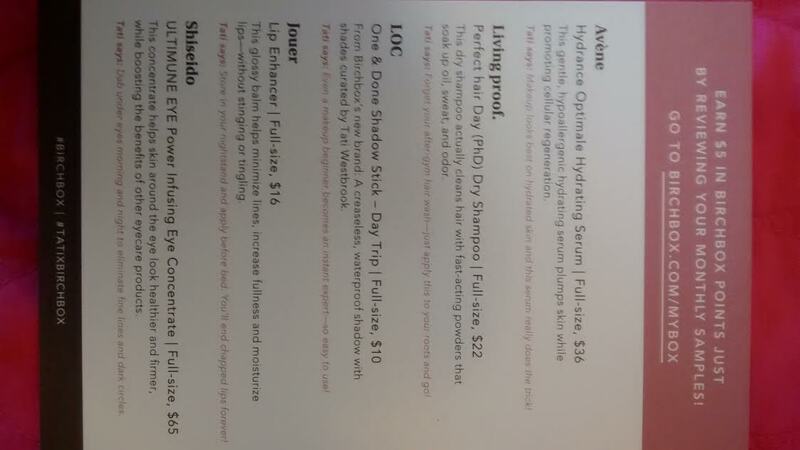 I know :) I am definitely going be using all my products til end of November!! Never got to try any of those, sadly. 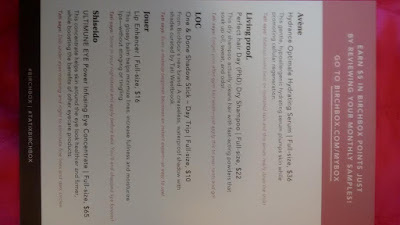 But my mum loves Shiseido, so I bet it is good! 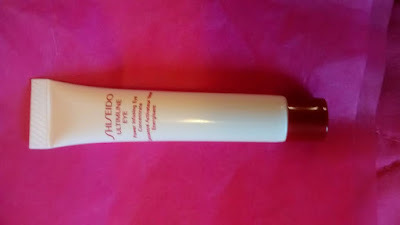 Oh that eye serum really kept my eyes hydrated during the night and again in the morning!! A little goes a long way for this product!! Looks like you got some really great products! I would love just about all of them. I also seem to be collecting dry shampoo so that one I am checking out stat! It is really good the LP dry shampoo!! I keep meaning to sign up for birch box, I wasn't sure if it was worth it. Definitely worth giving a try though. I LOVE Avene hydrating serum btw. It's the BOM!!! It sure is...I can't wait to try their makeup remover and hydrating spray! They do have that box available at Birchbox for $15 (plus that will be 15 pts towards earning $10 for every 10 pts at Birchbox including reviews, texting about your monthly box, etc)...I can give you a referral link so you can get your first box for $5? I have been going for that gold eye shadow and LP Dry Shampoo almost daily...I have finished off the facial serum but I still have plenty of the lip balm and eye serum left!! Those are perfect for dry Fall skin! Great box! 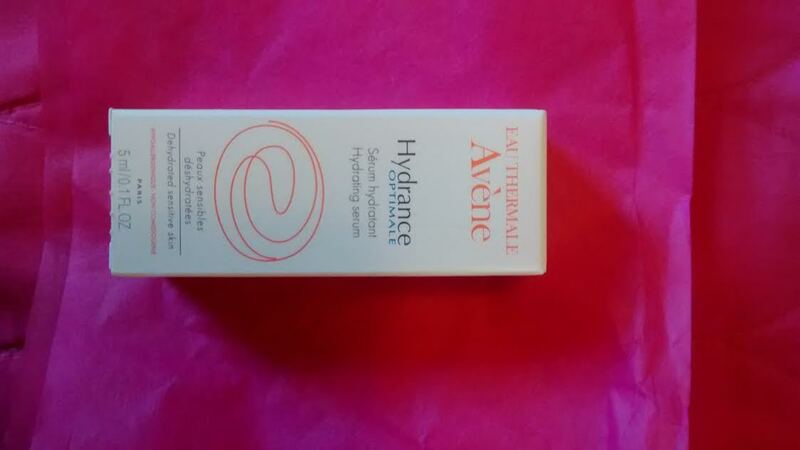 I want the Avene hydrating serum. It has the cooling and nice feels on skin. Love it. Although its a luxe item, I don't mind upgrading in the future!! Perfect for Fall/Winter skin! Thank you Renee!! I hope to be part of the Southern Bloggers Society!! I hope to be posting video soon, too!! 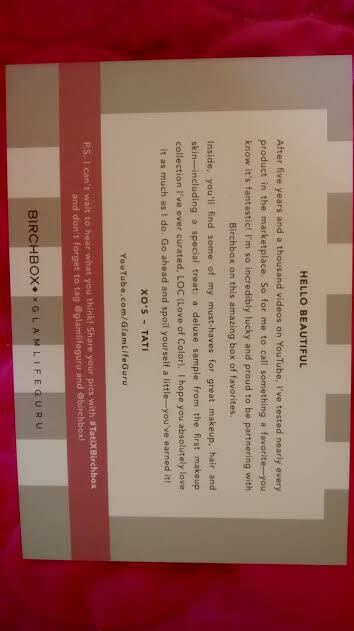 Oh it is not too late to get this box from Birchbox.com..you can buy for $15 in their shop!! They have been doing that as of late for special edition boxes! It was a really good box! That eye serum is divine! Thank you, Jackie!! I ranked under Estee Lauder Eye serum!